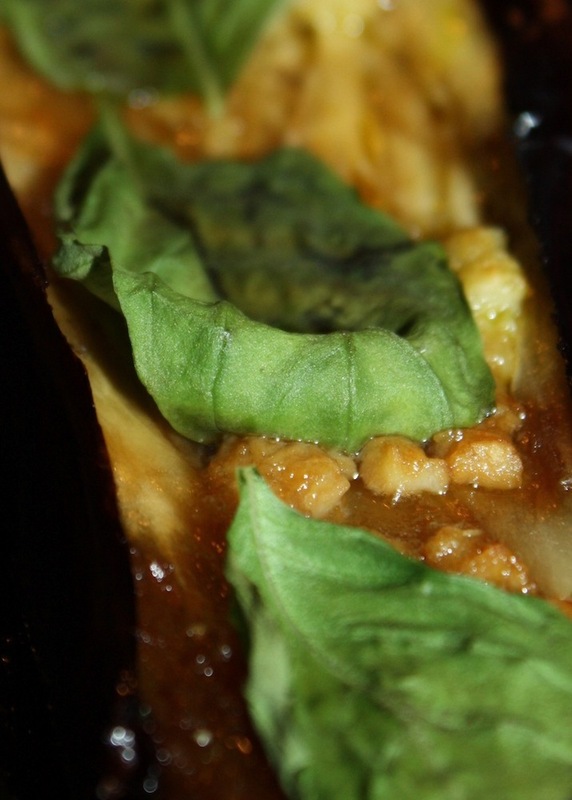 The other night I went to Nishiki in Freeman’s Bay and was reminded of how much I like their grilled eggplant dish. There’s very little ‘grilled’ about it though – they’re in fact first deep fried then grilled at the end with miso cheese on top. 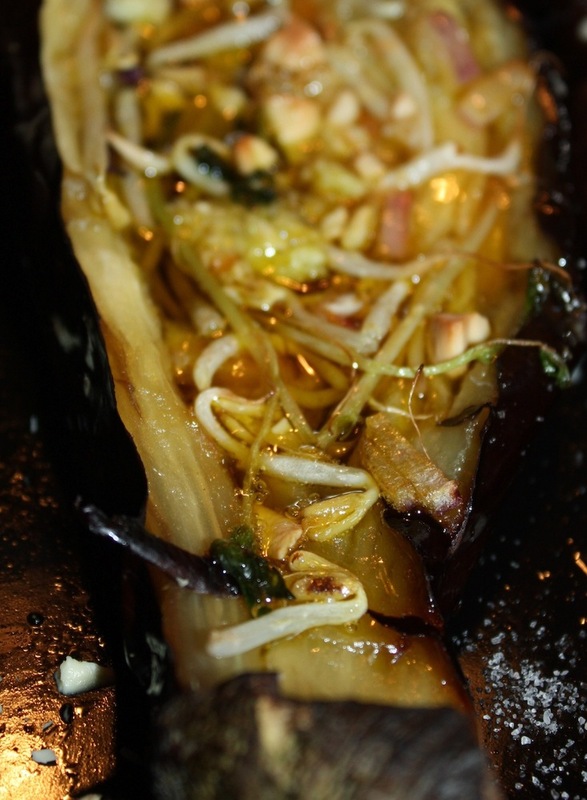 Absolutely delicious but I never cook anything deep fried so I tried my hand at 100% grilled aubergine. 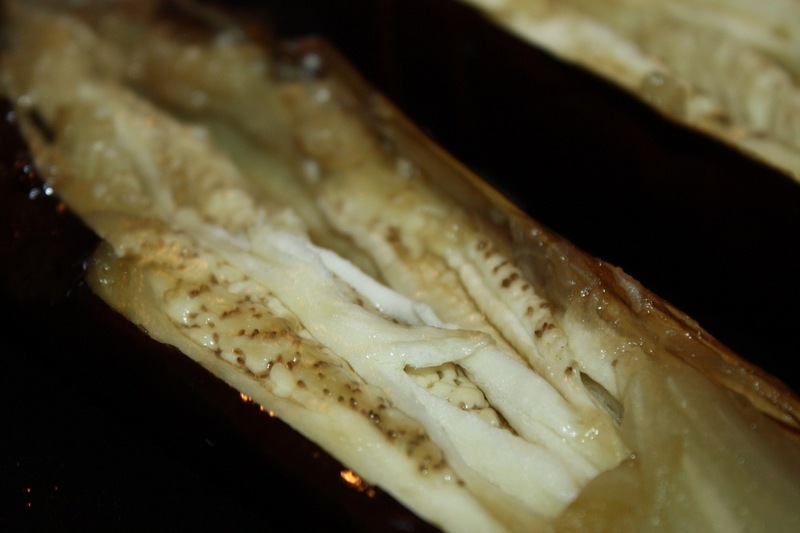 First I grilled two whole aubergines at a high a high temperature for about 45 minutes, rotating every 10 minutes. 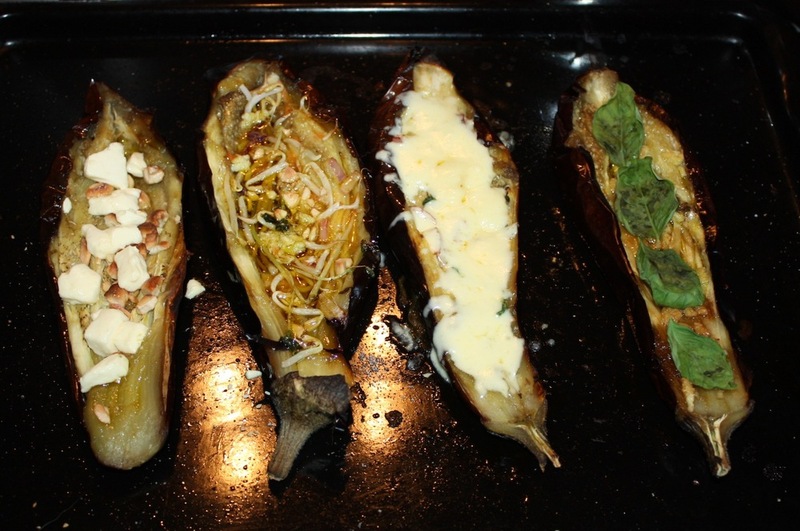 For this part, the grill was on with fan force and I’d poked a few holes in the aubergines with a fork to let the air out. 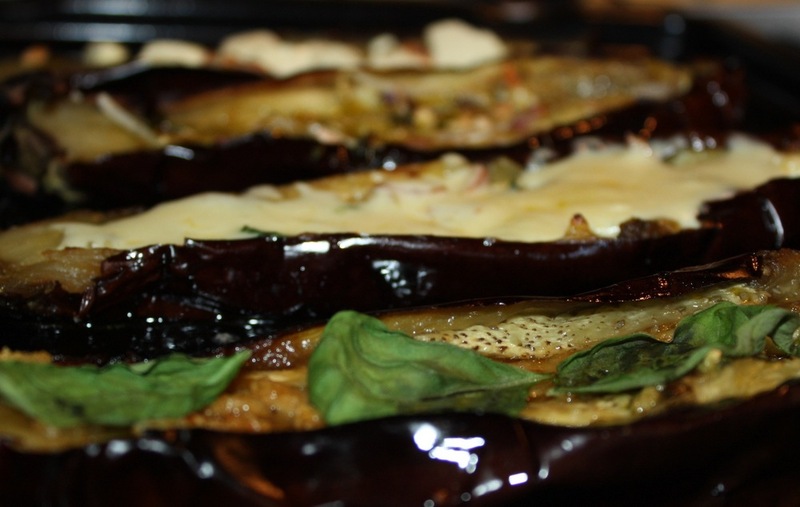 After this I turned the oven onto ‘grill only’ and cut the aubergines in half, then placed them under the grill for another 10 minutes. The next stage was to add the first part of the toppings: chopped red onion and crushed garlic drizzled with olive oil, then grill for another 5 minutes. Grill until the cheese melts, then enjoy!